Check out the latest GQ Best Stuff Box Spoilers on My Subscription Addiction! GQ Best Stuff Box Spring 2019 Available Now + FULL Spoilers! GQ Best Stuff Box Winter 2018 + FULL Spoilers! 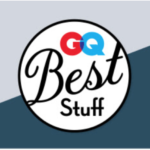 GQ Best Stuff Box Spring 2018 FULL Spoilers! GQ Best Stuff Box Winter 2018 FULL Spoilers!